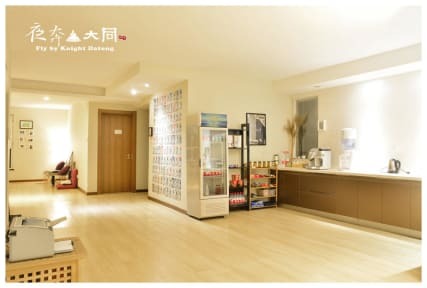 Fly by Knight has 3 top quality guesthouses in 3 popular cities: Beijing, Datong and Pingyao. if you book one of the location with us, you can get a 10% off for the other two places, but you will have to make direct booking with us to get the discount. make sure to email us right after you make the first booking on-line(you will get our email right after confirmed booking), and our staff will lock your room for your preferred room type immediately. You will find everything you need as a modern traveler: dorm beds, private rooms, clean shower area. We also have the most comfortable beds you can find in China, as well as our top quality linens. lockers, kitchen, common area, coffee, drinks, tour info, and transportation help etc. 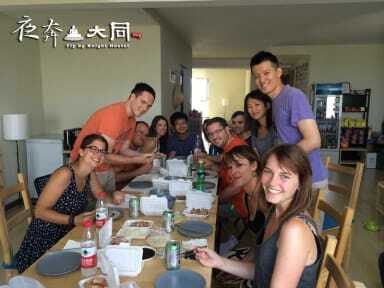 English speaking staffs are always here to help. Free wifi (fast internet connection) is covered everywhere and free guests computer is also prepared for your needs. Its also located in a very good position in the city (probably the best you can find), where you can see the old town (from our 22nd floor window-room common area and only 5 minutes walk to the south gate of Datong ancient town (the attraction of the main city center.) Lots of food nearby and a shopping center, a wal-mart supermarket that has everything is near by. Post office and ATM machines are just around the corners as well. Datong is a very old city (one of the earliest capital city of China in Wei Dynasty), it is located between Beijing and Inner Mongolia, and it used to be one of the most important transportation ports in the past. We can provide transportation help if you are coming from Beijing (as most travelers always travel from Beijing to Datong then to either Xi'an or Pingyao City).